Just thinking about a visit to the beach calms the mind and soothes the soul. The tranquil blue waters and sugar white sand of the Emerald Coast beckon. The sound of the waves and the soothing sensation of live music call out. And there is no place better than “Seafoam” to set the tone for a relaxing getaway! Seafoam is a sleek coastal home aptly characterized by its expansive, thoughtfully-designed floor plan. It features a well-appointed, centrally located kitchen that opens onto spacious living and dining areas making it the perfect spot for multiple families or a group vacation. Two sets of french doors flank the fireplace at the back of the home and open to an inviting outdoor seating area perfect for enjoying a cocktail and the crisp evening air. When you need to relax, you can sequester yourself to one of the four extra large bedrooms that comfortably sleep eleven. Each bedroom features a private, ensuite bathroom and is equipped with a flat panel television. The main floor of the home provides an absolutely fabulous space for everyone to gather. Whether preparing a meal, enjoying a light snack or catching the game on television; everyone is still together. The family room is equipped with a large, flat screen television, Blu-Ray player, digital cable television set top box, and high fidelity, surround sound stereo system. The home features state of the art wireless high speed Internet service. The first floor laundry/mud room located on the side of the home features a full-size washer and dryer. 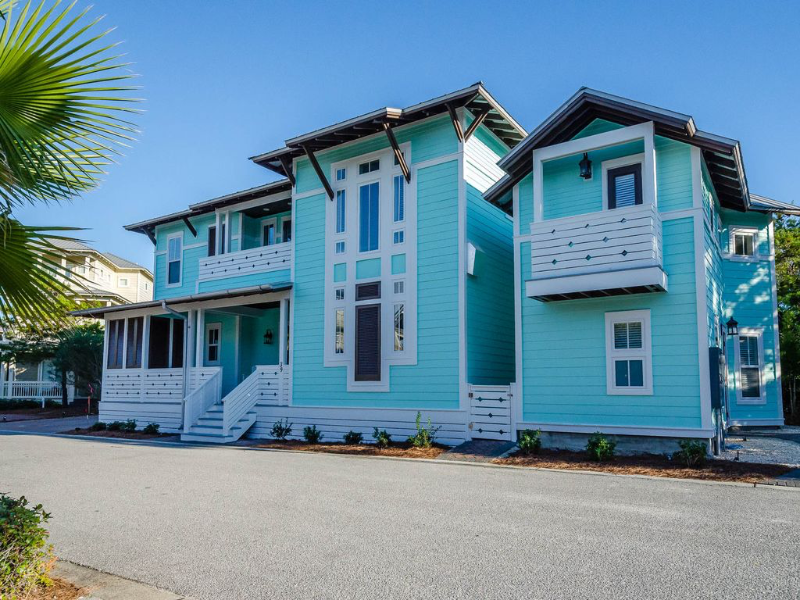 This idyllic vacation getaway is nestled on Sailfish Street within the Seacrest Beach community. Seafoam is close to all the activity without the hustle and bustle of being on the main thoroughfare. You are mere minutes away from the signature Lagoon pool which, at 12,000 square feet, is the largest pool on 30A! As you are located near the front of the sub-division, the beautiful beaches of South Walton are a quick walk away. If you don’t feel like walking and carrying your beach gear, simply call one of the Seacrest Beach Community trams (operating March through October) to pick you up at your front door and ferry your party over to the beach. The home is within easy walking distance to the restaurants, shops, candy stores, and cafés of Rosemary Beach, Peddler’s Pavilion and Alys Beach. Those who have the good fortune of visiting 30A always enjoy their stay, and so should you! Check availability and book your next stay in paradise today!